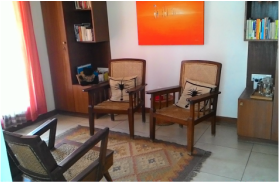 Couple counselling, whether in the context of a marriage or otherwise, is a space for two people to interact with the counsellor to explore and address inter-personal concerns including intimacy, communication, conflicts etc. The counsellor's focus is on the relationship between the two, and we maintain neutrality to both parties in the relationship, and the status of the relationship itself. We maintain the possibility of a positive experience whatever the outcome may be. We use the term "Couple Counselling" as an umbrella term to cover "Marriage Counselling", "Marital Therapy", "Couple Therapy", "Relationship Counselling", "Marriage Therapy", "Pre-Marital Counselling" etc. Couple Counselling is also for pre-marital counselling. A couple thinking of marriage could use the pre-marital counselling space to objectively and systematically look at how each of them think about marriage, talk through their expectations, hopes and fears, and in the process develop a better understanding of each other. Such a discussion often helps prepare the couple for the marriage ahead, well beyond the wedding itself. We typically start with a one-hour assessment session. The focus here is on getting an understanding of both partners' backgrounds, the history of the relationship, and each partner's specific concerns in the relationship. Once there is clarity on what is to be addressed and there is a rapport between the counsellor and clients, the counsellor attempts to help formulate a couple goal that works for both, and the modalities are decided. Typically, sessions are scheduled once a week and the counsellor and clients talk through how many sessions might be needed, and when they might check back on progress, closure etc. Sometimes, the counsellor may meet each of the clients separately as well, to explore any particular aspect of the relationship in greater detail, however the focus is on the relationship. If needed, the counsellor might refer either or both to individual support as well for working on their own personal growth. While this is generally a talking therapy, there is often a greater use of techniques and tools, including "homework", usually exercises for the clients to think through separately or work on together. The intent is help the clients think through their individual needs, desires, expectations etc and reflect upon how they affect the relationship, and to practice new behaviours with each other. On an average, couple counselling relationships can last anywhere from 2-20 sessions. Couples generally experience relief and more positive outcomes in trying to work through life stage adjustment issues, and inter-personal issues. Marital therapy has been shown to increase the relationship's ability to bear the stress of changing demands in the family because of life-stage commitments (such as parenting, empty-nest etc). Where a couple might be choosing to separate, couple counselling can help reduce any pain, and also help each individual cope better with moving back into single-hood. General benefits for the relationship and the individuals in it include bringing greater self- and other- awareness and helping the clients understand their needs, desires, develop better communication skills and recognize how they are affecting the relationship and/or getting affected in it. Is couple counselling only for married couples? Couple counselling is intended for two people in a relationship, irrespective of sexuality, marital status, race or other considerations. We are a non-discriminating space, and while the legalities of a marriage are a particular aspect, we also work with couples who are outside a legal marriage framework. This includes LGBT couples, live-in couples, pre-marital and other relationships.